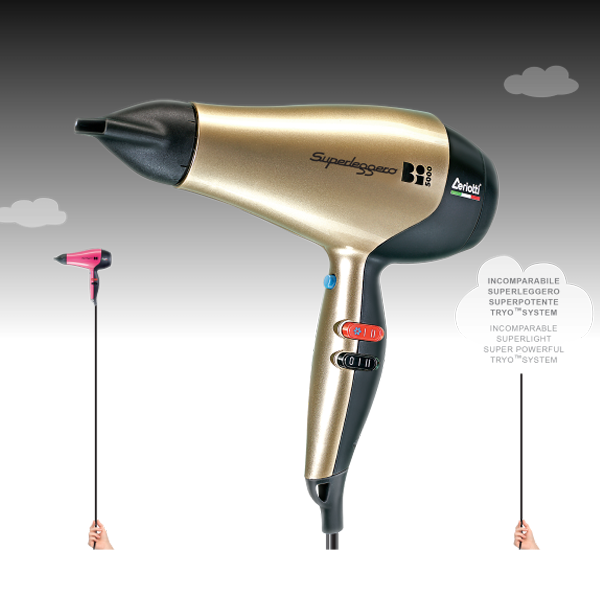 Lightness has a name and its our Bi 5000 Superleggero hair dryer. The revolutionary Tryo™System ensures an increased airflow, shock resistance and an optimal cleanliness Bi™ 5000 Superleggero with light weight power, maneuverability and versatility ensures always the best results. 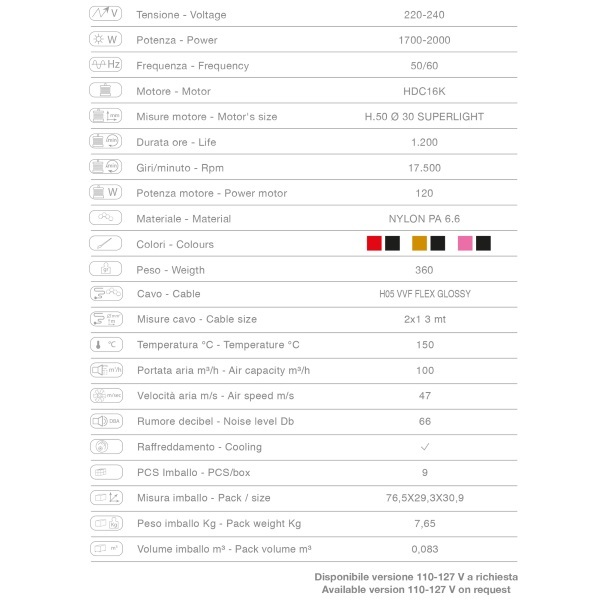 Forget heaviness and welcome the new standard of lightness: Bi™ 5000 Superleggero.